About a week ago we filmed my hands-on review of the Blackmagic Pocket Cinema Camera 4K on a rainy and gloomy day, and despite not getting to film a lot of footage because of the atrocious weather, we managed to shoot some stuff that hopefully may be helpful to some of you. At the moment, I am working on my full review of the camera, which I aim to get out in the next two weeks, and in the meantime, I wanted to share with you my experience so far with the BMPCC 4K, which at the time of this hands-on review, I had been using for about two weeks roughly. For those of you wondering, I had the camera setup with my trusty Sigma 18-35mm f1.8 Art EF via a Metabones Speed Booster ULTRA 0.71x EF to MFT adapter, and for power I mainly used the Powerbase EDGE external battery from Core SWX. This proved to be an invaluable addition to my kit, and I will have a full review of the Powerbase EDGE on the website very soon. 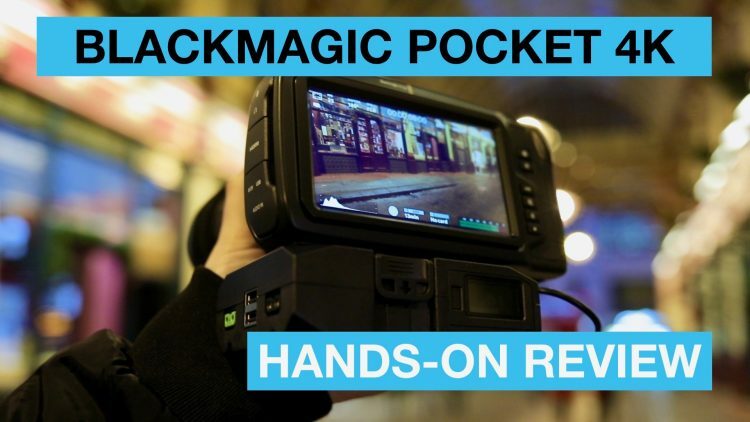 Regardless, here is my hands-on review of the Blackmagic Pocket Cinema Camera 4K. battery would often die at 50% or less? current settings – WB, ISO, shutter speed displayed instead of actual recorded settings? this can be very confusing and needs a firmware update stat! Despite the major downsides, one of which I hope Blackmagic fix with a firmware update soon (the erroneous playback, I doubt they can fix the crop or the battery issues), the BMPCC 4K is in a league of its own when it comes to internal Raw and ProRes options in such a form factor and more importantly at this sub-$1300 price bracket. With some rigging, external battery (like on larger cinema cameras) you can surely transform the BMPCC 4K into a mini cinema camera and great images deserving the big screen. So, that was my two week hands-on review of the Blackmagic Pocket Cinema Camera 4K, I hope you found it useful and I am interested in knowing what your thoughts are on the BMPCC 4K? Have you received your camera yet? Thinking of pre-ordering? Do share in the comments below.